United Santa Assault in the USA! Peace. Harmony. Joy. Community. These were just a few of the horrifying threats scrawled by an Occupy movement Santa and some of his little helpers in sidewalk chalk at the State Capitol in Austin, Texas. More at the Free Keene site, New Hampshire’s on-line destination for liberty activism. Ho. Ho. Ho. Santa Boots! 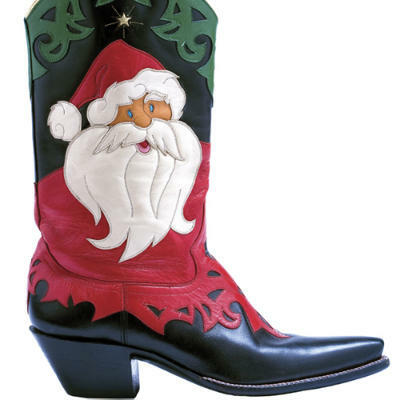 What do you get the Bootman who has Everything…including a Santa fetish? Rocket Buster Custom Boots in El Paso, Texas makes these and can make just about anything else you might think up for boots. Wild! They also make leather X-mas stockings…stuff That! His “concept” is as big as Texas. Heh. 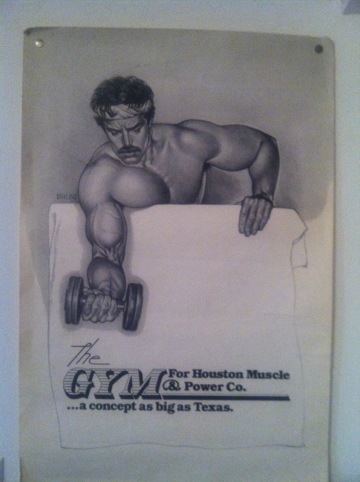 Houston Muscle & Power Company…nice name for a gym. For another sight seen at Jim’s home gym, click here. Long before it was International Workers’ Day, it was a pagan holiday, welcoming spring. Cool Gay Texan cartoonist CMan hits both meanings with hunky truckers paying tribute to their buddy’s pole. Let the dance begin! For more of CMan, visit his blog here. 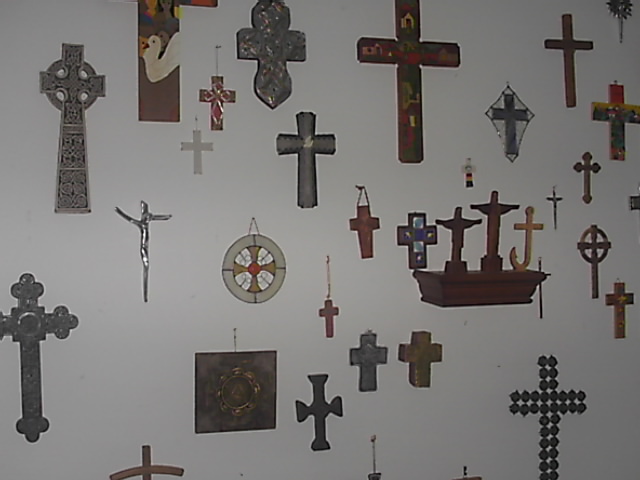 A wall at the church displayed crosses from around the world. Many were destroyed, but a few were saved. To donate to rebuilding efforts, go here.